Ticket Price Set At £10 - Pay at The Door - Buffet and Disco. As part of their Eco-Schools programme the pupils from Canisbay Primary School undertook a litter pick around the school grounds and Canisbay Village this week (21 April). The litter pick was part of the Keep Scotland Tidy Group’s ‘National Spring Clean Event’ running throughout April. Paul Castle Highland Council’s Countryside Ranger for north Sutherland and north Caithness helped organise and run the activity with members of the school staff and the pupil eco-school committee. Paul said: “All the children worked very hard from the P7’s right down to the P1’s. We were all amazed just how much litter had gathered in the long grass and bushes around the school and village. The whole place looks much tidier and I’m sure the local wildlife will appreciate our efforts.” Highland Council’s Countryside Rangers are part of the Planning and Development Service. The rangers run events and guided walks which aim to help raise awareness and encourage appreciation of the scenery, wildlife and heritage of the Highlands. A Workshop For Businesses About The Mod 2010 Opportunities - Are You Ready? This year between 8-16 October Caithness will welcome the Caithness Mòd 2010 - Mòd Ghallaibh. The Mòd is Scotland's second-biggest festival and is a competition-based festival, for children and adults, that celebrates the Gaelic language through music, dance, drama, arts and literature. It attracts competitors and visitors from throughout the UK, Wales, Ireland, Australia, Canada and the USA. In Caithness this year the main hubs for the events will be Thurso and Wick and it is hoped that the 2010 Mòd will leave a lasting legacy in terms of tourism and culture in the area. So how can you as a retailer, hotelier, restaurateur, visitor attraction or any other business welcome these 10,000 visitors to our area? The most recent report into the economic impact to an area hosting the Mòd is Falkirk in 2008 where the 6000 visitors generated £1.5 million of direct economic benefit. In October this year you may well find yourself packed to capacity. So are you prepared? Mackays Hotel on 29th April at 7pm. 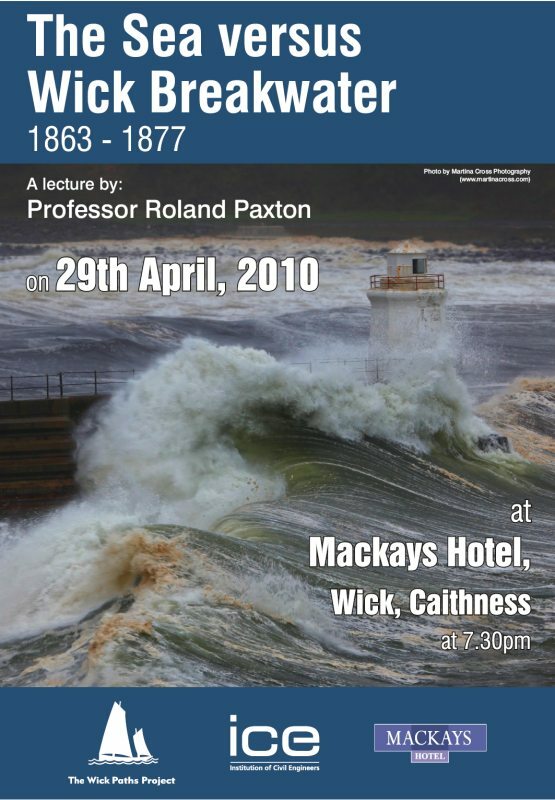 This lecture will give the history behind the power of the waves that led to the destruction of the Stevenson's breakwater in Wick in 1868. The remains of the breakwater can still be seen. See it in the centre of this Google Satellite Map and This photo of the remains. 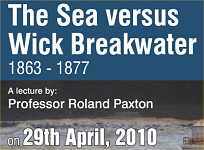 A large photo of the work in progress when it was built is on display at Wick Heritage Museum. Duncraig Trust has opened for business this year with an application deadline of Friday, 11th June. There is great deal of competition for funding from the Trust and the FAQs on the link below may help potential applicants decide whether they are eligible. Application forms and guidance on how to complete the form are also found on the link. April showers failed to dampen residents' spirits as the Highlands town of Thurso celebrated winning People's Postcode Lottery's £2.1 million Spring Postcode Rollover. Hundreds of euphoric winners joined spectators, neighbours and friends to discover just how much they'd won- with the full winning postcode of KW 14 7JR, Holborn Avenue sharing a total of over £1 million. Retired 64 year old Paul Connelly was one of three main winners, pocketing a cool £208,706, which he described as "a nice wee lift- we'll be going on an exotic family holiday now!" But it was husband and wife duo Mark and Maureen Jamieson who really stole the show, walking away from the event with their combined winnings making them a massive £834,824 the richer. 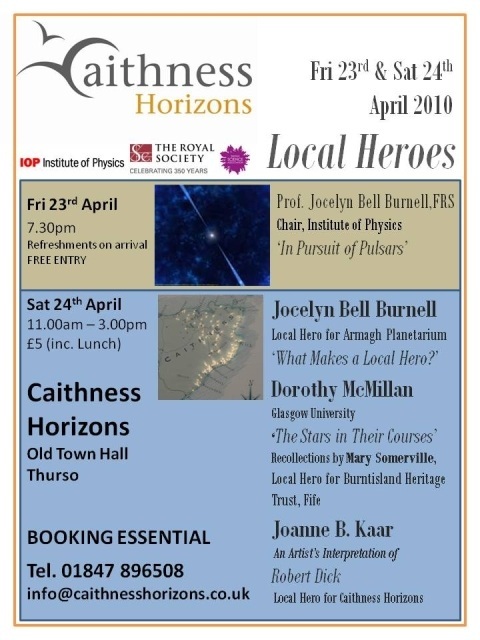 A party to remember for Thurso! The event took place in local park 'The Dammies' and saw the community of Thurso rocked by the windfall. Emotions ran high and the excitement was tangible as revellers enjoyed entertainment from TV and pop star Darius, complimentary food and drink and a traditional Highlands send-off from Thurso's very own pipe band. Darius, who drove through the night to make the show after his London flight was cancelled and had to borrow a guitar from a local hotelier's brother. He told the excited audience: "I'm so excited to have been part of such a landmark event. Congratulations to all the winners - don't spend it all at once!" After the entertainment it was time to get down to the serious business of making some Thurso residents a bit more wealthy! Over 200 locals took home Postcode Sector prizes, ranging from just over £1,000 to £18,000 and soon the crowd was full of happy winners waving their cheques in the air. The Caithness Chamber of Commerce is hosting a Charity Masked Ball on the 15th May at Mackays Hotel, Wick. All proceeds of the evening are being given to CLICSargent and Enable, Caithness Branches. We are looking for a band who would be willing to play the evening free of charge. Great publicity for the group and we would be very, very grateful! It's for a really good cause so hope someone can help us. Pennyland Primary School has recently gained its Silver Eco Schools Award! Our Eco Committee has been working very hard to help everyone in the school become more aware of being Eco friendly, through producing a school Anti-Litter Policy and Eco Code to providing better recycling facilities and organising activities for every class in the school to take part in throughout next term. 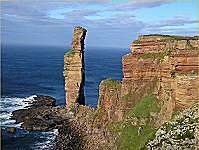 Sail to Hoy on the Pentland Venture, then either explore Rackwick bay or join the ranger walking to the Old Man. Meet at the John O Groats ferry Office at 10.15 am on Sunday 9th May. Advance booking and payment essential, price £33. Since we lost Scott in a tragic accident at Christmas 2008 it has been a hard but very busy year trying to turn a tragedy into something he would be proud to have in his memory. We would firstly like to thank all businesses and the people of Caithness who donated so generously to our prize bingo, football tournament, outdoor bowling tournament and raffles enabling Scott’s fund to give out £9,000 last year. We are holding our fund raising events again this year starting with the rize Bingo on Tuesday 13th April 2010 in the Francis Street Club, Wick at 8pm. We donated the following £1,000 cheques given to East End Boys Club, Lybster Boys FC, Canisbay Boys FC, Halkirk Boys FC, Pentland Boys FC, Junior Swifts FC, Thurso Youth Club and Castletown Boys FC. We also donated £250 each to Wick Xmas Lights and to Wick Lifeboat as they both helped us with our events. We have also sponsored a Caithness Youth Player who plays for Ross County to help with travel and equipment. If anyone wishes to donate any prizes, baking etc please contact Claire on 07907 374 589.